Having Children decorate a Christmas tree in Children’s Church is a great way to teach about the birth of Christ. First teach them why we use the Christmas tree, then use the ornaments as object lessons. Some believe the Christmas tree started during the Winter Solstice when Druids worshipped trees. But from the beginning, Christmas trees have been used as Christian symbols to teach about Christ. During the 7th century, a monk from Devonshire spent time there preaching the word of God. He used the triangular shape of the Fir tree to teach about the Trinity of the Father, Son, and Holy Spirit. By the 12th century, the Fir tree was hung upside down from ceilings in Central Europe as a symbol of Christianity at Christmas time. St. Boniface became a missionary to the Germans in the 700’s A.D where he encountered Druids who worshiped trees. 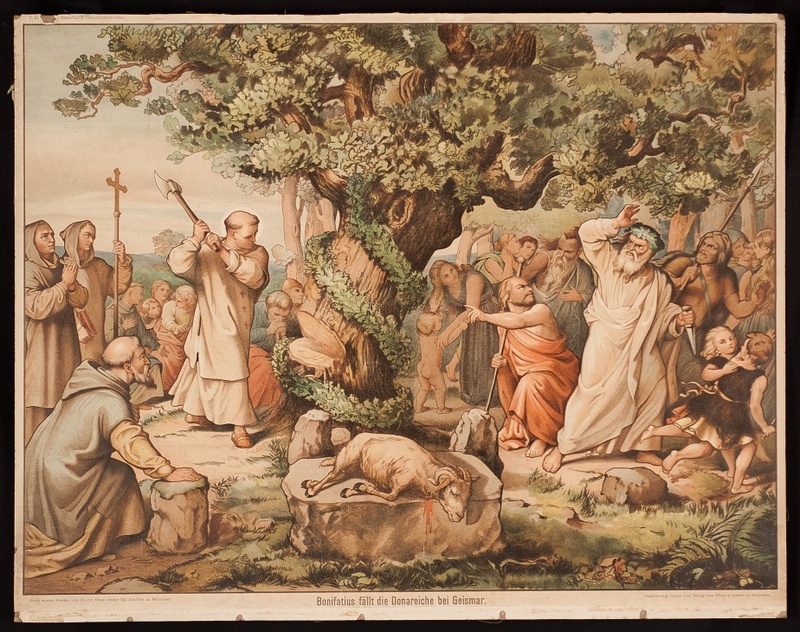 To stop their sacrifices at their sacred Donar Oak near Geismar, St. Boniface chopped the tree down in 725 A.D. With one mighty blow, Saint Boniface felled the massive oak, and as the tree split, a beautiful young fir tree sprang from its center. Saint Boniface told the people that this lovely evergreen, with its branches pointing to heaven, was indeed a holy tree, the tree of the Christ Child, a symbol of His promise of eternal life. He instructed them to carry the evergreen from the wilderness into their homes and to surround it with gifts, symbols of love and kindness. From the eleventh Century, religious plays called “Mystery Plays” including the popular Paradise Play depicting the story of the creation of Adam and Eve, their sin, and thier banishment from Eden. 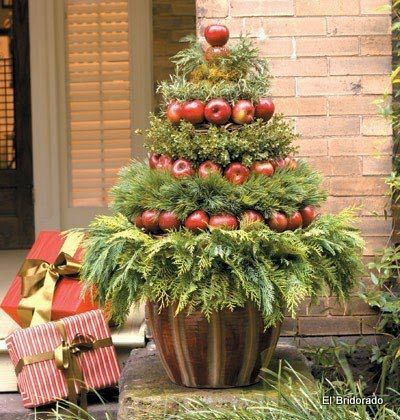 An evergreen tree was used for this winter festival and decorated with apples symbolizing the forbidden fruit. The play ended with the promise of the coming Savior. Wafers were also hung from the tree symbolizing the forgiveness of sins in communion making it now not just the tree of knowledge but also the tree of life. This resulted in a very old European custom of decorating a fir tree in the home with apples and small white wafers representing the Holy Eucharist at Christmas time. These wafers were later replaced by little pieces of pastry cut in the shapes of stars, angels, hearts, flowers, and bells. In some areas the custom, was still to hang the tree upside down. In addition to the paradise tree, many German Christians set up a Christmas Pyramid called a Lichstock – a open wooden frame with shelves for figurines of the Nativity covered with evergreen branches and decorated with candy, pastry, candles, and a star. 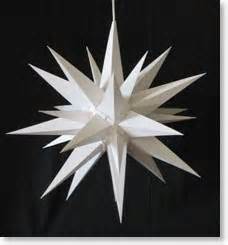 The star represented the star of Bethlehem, the candles represented the light of Christ coming into the world, the evergreens were the symbol of eternal life, and the candy, fruits, and pastries, the goodness of our life in Christ, the fruits of the spirit, etc. By the seventeenth century the Lichstock and the “Paradise Tree” became merged into the modern Christmas tree. There is a popular tradition that Martin Luther was walking on a bright snow-covered, star-lit night pondering the birth of Christ. Enthralled by the evergreen trees, the stars and the landscape, he took a tree inside and put candles on it to represent the majesty he felt about Christ’s birth as Jesus came down from the stars to bring us eternal life. So as you can see, the Christmas tree has always been a symbol of Christ. It can be used in a number of ways to teach children. 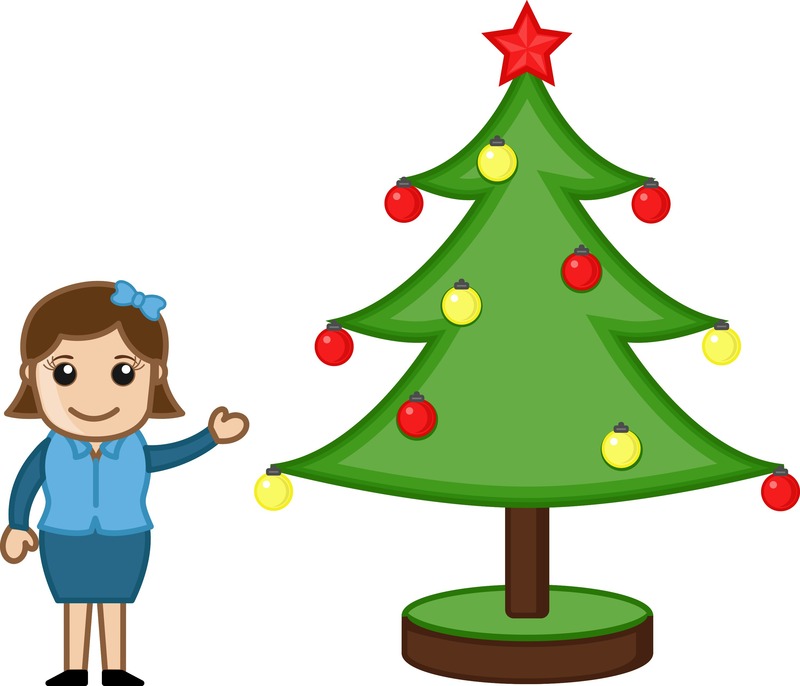 Here’s a few object lessons you can use as your students decorate the tree. 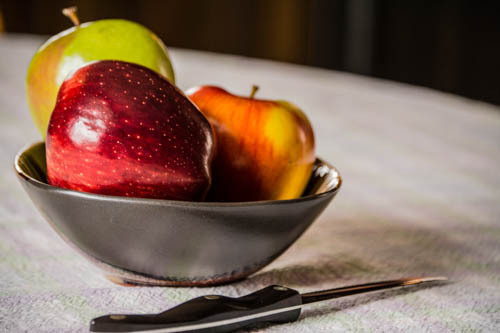 Apples: We hang apples from the Christmas tree because Adam and Eve sinned by eating the apple. Jesus came to Earth to save us from our sins. Evergreen: Just as evergreen trees grow all year long and are always green, Jesus came to Earth to give us everlasting life. Holly: The holly we hang on Christmas trees is red and reminds us of the blood Jesus shed to save us from our sins. Tree Top: The tree top is usually an angel or a star. Both were in the sky the night Jesus was born. The angels proclaimed the good news to the shepherds. The star lighted the way of wise men traveling to Bethlehem. Ornaments: Round bulbs represent Jesus coming to Earth. Other ornaments represent that God wants to give us good things. Tree: The tree itself can represent the tree of life that Jesus came to Earth to restore to us. It can also represent the cross where Jesus died for our sins. We cut down a tree for Christmas just as Christ was cut down for our sins. But we resurrect the tree in our homes just as Christ was resurrected after 3 day. Wreath: Wreaths are a great symbol to teach children about Christmas. Wreaths are circular. This symbolizes eternal life. It can also symbolize God’s unending love. We usually hang wreaths on the door to welcome guests just as Jesus welcomes us to have eternal life in Him. Wreaths are made out of evergreen symbolizing again everlasting life in Christ.